2 Bedroom Flat For Sale in Eastcote, Middlesex for Asking Price £450,000. 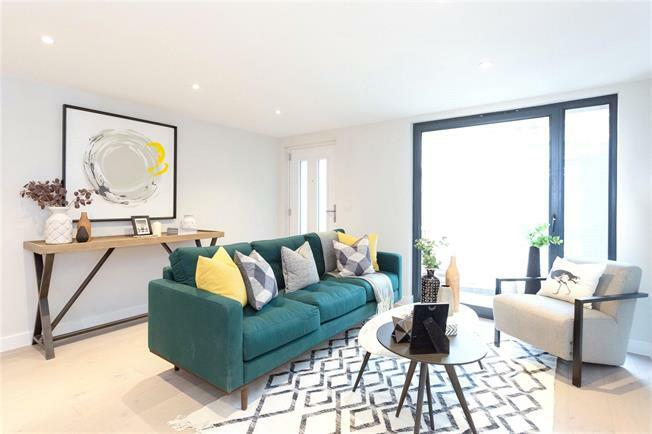 This Third Floor 2-Bed/1-Bath apartment benefits from having a private Terrace along with a fully fitted Kitchen with integrated appliances, Porcelain tiled Bathroom, parking and flooring. Part of Eastcote's latest development of 1, 2 & 3-Bed apartments. Register your interest in this development that boasts a high specification to include a contemporary bespoke integrated Kitchen with Bosch appliances, Fully tiled Bathroom and Ensuite (where applicable), Engineered wood flooring to Living Room, Kitchen and Hallway, Carpet to Bedrooms and Private Garden or Terrace to select apartments.